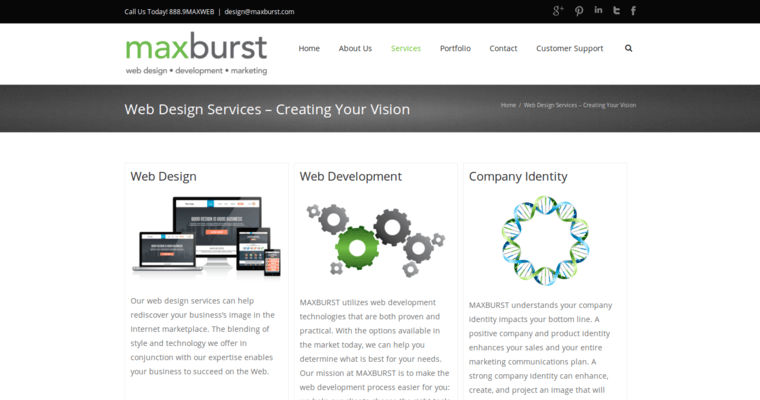 Maxburst is located near New York City, so this company brings a lot of urban flair to the table when it comes to website development. 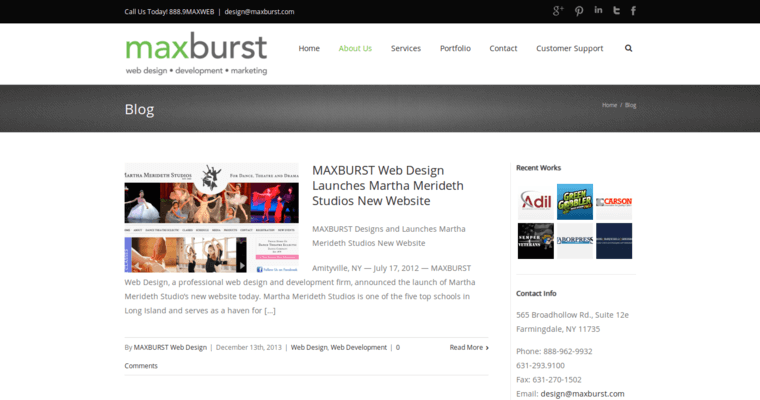 The methods used by this web design agency are inspired by the sophistication of the Big Apple. For example, the display technology in Times Square's billboards influences some of the interactive menus and other multimedia presentations that appear on websites developed by this firm. 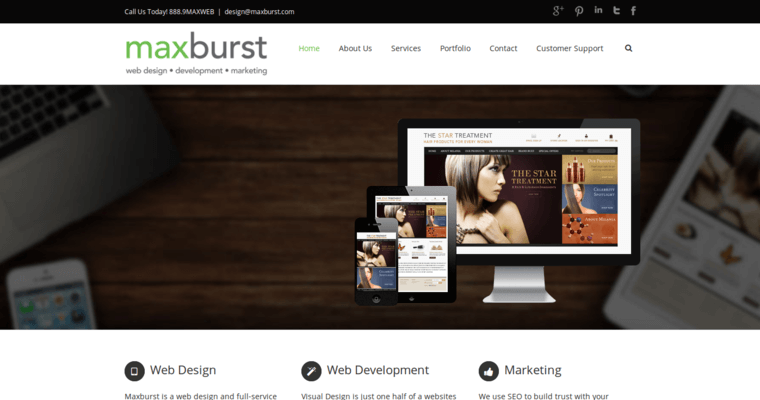 Of course, there is also some sense of professionalism if there is a need to optimize websites for corporations looking for standard presentations rather than something that is flashy and flamboyant.